Ink, paper, glass. 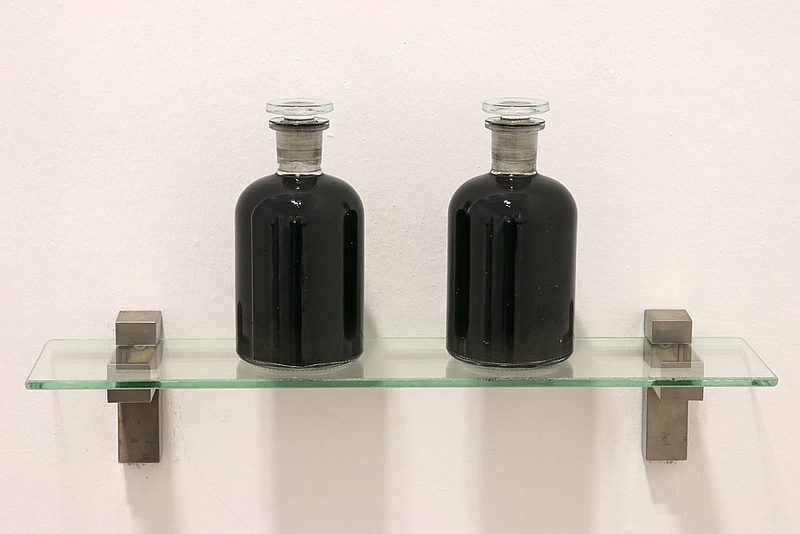 Jalāl ad-Dīn Muhammad Rūmī’s poem “The Two Insomnias” transcribed with ink on soluble paper, dissolved, and presented in 2 glass vials. Courtesy of the Lina Kinning Collection. The Two Insomnias takes its title from 13th century poet Rumi. The work reframes and repurposes the poem, and seeks to untangle the relationships between nationalism, the individual, and the headiness of belonging.